An excited buzz filled the air, as fifty swimmers of all ages prepared to swim in the annual Club Championships. 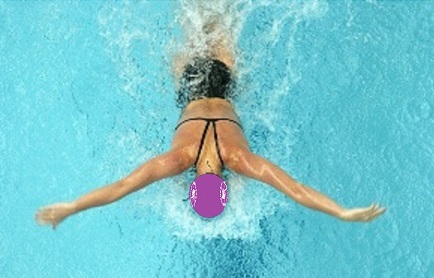 Swimmers swam to register times in all four strokes, with all swimmers completing a longer distance 100m freestyle and older swimmers also completing 100m backstroke. For several swimmers, this was their first competitive gala and everyone performed to the best of their ability, evident in over 120 PBs recorded and club records smashed! Despite a tiring evening, it was clear that swimmers were determined to show how all the work put in through the last year’s training sessions had really paid off. The speed and stamina of all swimmers was evident and a real testament to the dedication shown in training by swimmers and coaches alike. Results will be announced at the Annual Awards and Party Night on Friday 24th November (see below). Congratulations to all swimmers who took part and a special congratulations to Coach Justine for taking up the challenge! Thank you to all volunteers who helped on the night as the event could not have gone ahead without you. Thank you to all of the coaches who work tirelessly with the swimmers throughout the year. A HUGE thanks to Head Coach Matt Price who has dedicated many hours of his time to work with the swimmers, coaches and committee to take the club from strength to strength. Annual Awards and Party Night on Friday 24th November. This is an opportunity for all swimmers, coaches and all family members to let their hair down and celebrate the year in style. Much eating, drinking, dancing and celebrating is anticipated, so make sure that you get your tickets ASAP (on sale at all training sessions).